A photograph of SCP-3737-1 during a Reunion event. Special Containment Procedures: The Foundation has purchased the land that contains SCP-3737-1. Various signs have been posted around the area declaring it as federal property. Trespassers are subject to local law. A proposal to allow personnel to visit SCP-3737 during Reunion events is currently being reviewed. Description: SCP-3737 is an inter-dimensional anomaly that manifests as a tropical island. The size of the island or the surrounding ocean has not been measured due to SCP-3737's limited accessibility. Per its anomalous nature, the island has no relative location, and exists in its own reality. SCP-3737-1 is the entrance to SCP-3737, located on the ████████ Bridge in ███████████, Greenland. The entrance takes the form of an unstable Einstein-Rosen spatial anomaly, which is connected to a similar anomaly on a dock on the southern portion of SCP-3737. SCP-3737-1 is typically inaccessible, but can open at highly irregular intervals.1 These periods have been designated as "Reunion" events and last exactly 24 hours before SCP-3737-1 reverts to its inaccessible state. 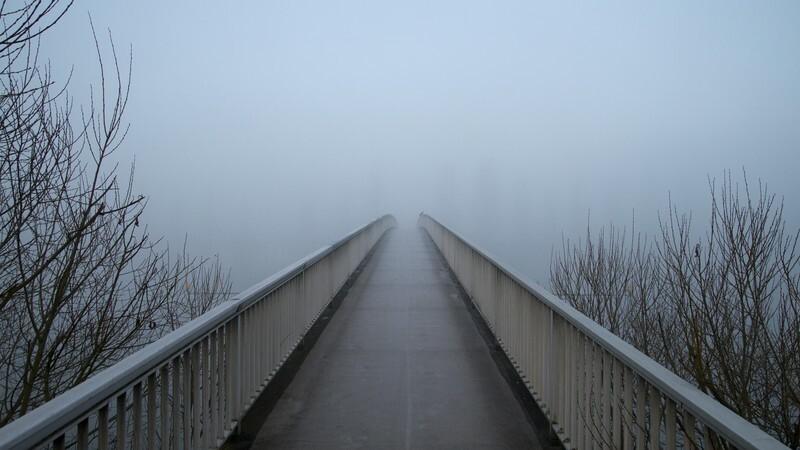 The spontaneous appearance of a wall of fog on the bridge housing SCP-3737-1 indicates a Reunion event. Passing through this wall is effectively entering SCP-3737-1. SCP-3737-2 is the collective designation for the inhabitants of SCP-3737, which are various species of animals commonly kept as household pets. Instances of SCP-3737-2 are all present in their adolescent age and show no indications of poor health. These entities will engage in playful activities either with each other or with the various animal toys found on SCP-3737. No aggressive or territorial behavior has been observed in SCP-3737-2 instances. Exploration Log 3737-1A: Due to the rarity of its appearance, a research team was granted permission to explore the nature of SCP-3737-1 when it spontaneously opened on October 6th, 2016. A security detail was assigned as a precautionary measure. All personnel were required to wear Class-A Environmental Hazard Suits until the location at the opposite end of SCP-3737-1 (later SCP-3737) was deemed habitable. The transcript of the subsequent video has been added to this file. Dr. McCall: Proceeding to enter the anomaly. Dr. Lawrence: Is that a blue sky I'm seeing? Alexander: Hold. Entities sighted on the beach. Ramirez: I have a clear shot. Alexander: Hold. Do not engage. Dr. McCall: They might be friendly. Alexander: I'd rather one of us determine that. Bardeux, go and initiate contact with one of the entities. Alexander: If it moves in a way you don't like, shoot it. Alexander: Hold your fire. Bardeux, initiate physical contact with the entity. Crawford, Ramirez, be ready to engage. Dr. McCall: That doesn't look very murderous to me. Dr. Lawrence: Katherine, is this really the time? Dr. Rostova: What, Vernon? Am I not allowed to be cautious? Dr. Lawrence: Being cautious and being extremely presumptuous are two separate things. Dr. Rostova: I am not being presumptuous. I'm taking my job seriously. Dr. McCall: Would you two be quiet? I think you're scaring them. Ramirez: Did they bring the whole zoo here or something? Bardeux: Hang on. This dog has a collar. Bardeux: His name is Felix. Dr. Rostova: It has a name? Dr. Lawrence: They all have collars. Who do these things belong to? Alexander: I don't think that's important right now. We should continue moving. Crawford: Has anyone noticed the sun hasn't moved since we got here? Dr. Lawrence: Perhaps it is an anomalous property of the island. Who knows? Dr. Lawrence: I guess she likes you. Dr. McCall: It appears she does. Dr. Rostova: Is everything alright, Ludwig? Dr. McCall: Yes, yes. Everything is fine. That instance just reminds me of an old friend, is all. Bardeux: I could check the name-tag. Dr. McCall: It is extremely implausible that that friend is her. Bardeux: No harm in trying then, Doctor. Permission to approach the entity? Bardeux: Her name is Gypsy. Dr. McCall: That was her name. Dr. Rostova: So? I'm sure a lot of dogs are named Gypsy. What makes you think this one is her? 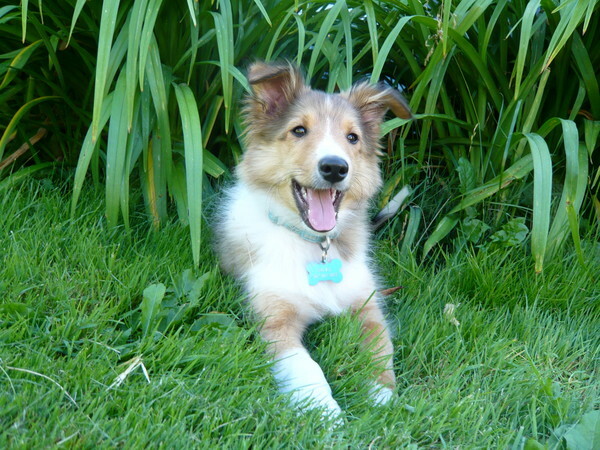 Dr. McCall: Gypsy also had a blue collar. Dr. Lawrence: I remember you talking about Gypsy. I thought she died? Dr. McCall: She did. We had to put her down when I was sixteen. Dr Lawrence: Then what is she doing here? Dr. Rostova: That's…That's not possible. Dr. Lawrence: What is it, Katherine? Bardeux: The hell is going on here? Alexander: I have no idea. Doctor, mind explaining? Dr. Rostova: He looks just like my old Siamese. Same collar and everything. Even has his name-tag. Dr. Lawrence: Katherine, I'd be very careful. This looks just like 3773. Dr. Rostova: This looks nothing like that, Vernon. Pike was batshit crazy and so was her cat. Dr. Lawrence: What is it, Ludwig? Dr. McCall: Bridge Team is reading a loss of stability in the portal. They are suggesting we return to the camp as soon as possible. Ramirez: The dock isn't that far from here. An hour or two at least. Will it hold? Dr. McCall: They're saying it'll last for another two hours before it collapses. Dr. Rostova: Wonderful. I can take Jasper and Dr. McCall can take Gypsy. Dr. Lawrence: Katherine. You know how strict we are about dimensional entities. I don't think I need to remind you what happens if we bring them back. Dr. Rostova: I can't just leave him here, Vernon. I don't want him getting lonely. Dr. McCall: We've seen plenty of other instances that seem very happy to provide company. We need to go, Katherine. Dr. Rostova: He was my best friend when I was a kid. I haven't seen him in years, and you expect me to just leave him? Just like that? Crawford: Dr. Rostova, it isn't safe for you here if you stay much longer. Dr. Rostova: It's my cat. if I want to bring him, I can. I take full responsibility. I don't see why you aren't happy to see your dog, Ludwig. Dr. McCall: Of course I'm happy to see her, Katherine. She was my best friend growing up as well. I would love having someone like her back, but she might not even exist. Even if she does, I don't want her going through the Foundation. That wouldn't be right. Dr. Rostova: Fine. If you don't want to bring her back, that's fine. I'm still taking Jasper. Alexander: I think you should listen to Dr. Lawrence. I cannot permit you to bring something of that nature back with us. Dr. Rostova: I don't care about the regulations, Alexander. It's a cat. It isn't going to kill you. Alexander: We don't know that yet, Doctor. Put it down. Dr. Rostova: He's coming with me, and that's that. Now, I suggest we return to the dock. Alexander: Dr. Rostova, I will be forced to place you in quarantine if you do not release the entity. Dr. Rostova: So be it. Jasper is coming back with me. Dr. Lawrence: I believe so. Alexander: Good. Let's get this over with. Dr. McCall: I uh…I never got the chance to say goodbye to Gypsy. My father took her to the vet and I didn't go. I'd like to say my goodbyes before we go. You know, just in case. Dr. McCall: I know, Alexander. Just give me a moment. Dr. McCall: Goodbye, girl. Thank you for always being there for me. I love you, very much. Addendum 3737-1B: Investigation into the nature of SCP-3737-2 has been postponed until SCP-3737-1 becomes stable. Upon further analysis, the collar tags found on the SCP-3737-2 instances featured no extraneous information besides the name of the instance. The appearance of various pet toys in SCP-3737 is also currently being investigated. Addendum 3737-2B: Dr. Katherine Rostova was placed into quarantine following her return under the suspicion she was suffering from memetic effects. She was released a week later after clearing several cognitohazard screenings. Dr. Rostova is to meet with Site-24's psychiatrist on a weekly basis until such a time where she is deemed emotionally stable. 1. Since its opening on October 6th, 2016, SCP-3737-1 has not reopened.